Pittsburgh City Paper writers, editors and artists won 10 first place Golden Quill Awards from the Press Club of Western Pennsylvania. The paper had 14 finalists overall in 12 categories. News Editor Rebecca Addison won two awards for her coverage of efforts to eliminate statute of limitations in child abuse cases. Her story was awarded the Ray Sprigle Memorial Award, which is given to the best print story for non-daily newspapers. This marks the third-consecutive year that Addison has won the award for best-in-show. CP‘s Politicrap blog was named the top blog in Western Pennsylvania, led by the team of Ryan Deto, Rebecca Addison and Charlie Deitch. Among the entries included several live blogs done during last year’s presidential election. Staff writer Celine Roberts and contributing artist DJ Coffman won first place in lifestyle reporting for CP‘s 2016 Drink Issue, which featured a citywide bar crawl. 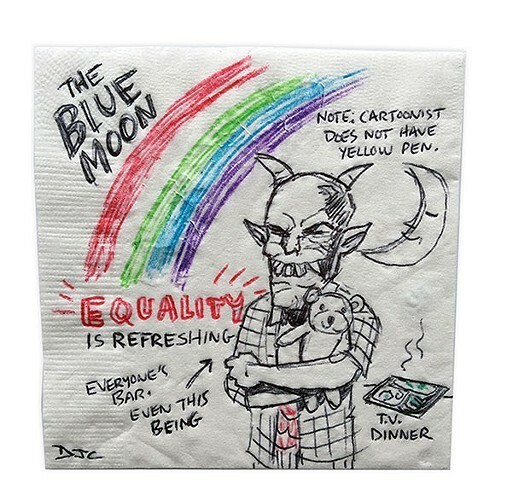 The issue featured Roberts’ observations, as well as a series of sketches by Coffman done on cocktail napkins. The story, art and interactive map also won best digital lifestyle story, beating out all other media outlets in Western Pennsylvania. Coffman and Roberts were joined by former Multimedia Editor Ashley Murray. Former Music Editor Margaret Welsh won first place in print arts-and-entertainment stories for her coverage of Christian-music veteran Jennifer Knapp’s musical evolution and her coming out. Arts Editor Bill O’Driscoll won first place for environmental reporting for his piece on a Mercer County farmer who stressed the importance of small-scale permaculture. Freelance writer Kim Lyons won first place for business writing for her coverage of Uber’s two-year anniversary in Pittsburgh and the controversy around the company’s treatment of their drivers. Editor Charlie Deitch also won first place awards for sports writing for the Pittsburgh Pirates’ use of sabermetrics and his column, Pittsburgh Left, won first place for column writing. Deitch’s submissions included pieces on an undocumented immigrant’s struggle to stay in the country, the social impact that the late-Pittsburgh actor and activist Bill Nunn III had on police-brutality issues, and sexual assault allegations against Pirates third baseman Jung Ho Kang. Deto’s series of stories on undocumented immigrant Martin Esquivel-Hernandez was a finalist in digital investigative reporting. His story on the attention given to tech startups at the expense of manufacturing companies was a finalist in business/technology reporting. Addison’s story on a debilitating condition known as ME/CFS (myalgic encephalomyelitis/chronic fatigue syndrome) was also a finalist. The CP staff’s 2016 Music Issue, which featured three days in the life of Pittsburgh’s music scene, was a finalist for arts-and-entertainment reporting. Deitch was also a finalist in the arts-and-entertainment category for his story on The Rev. Horton Heat.